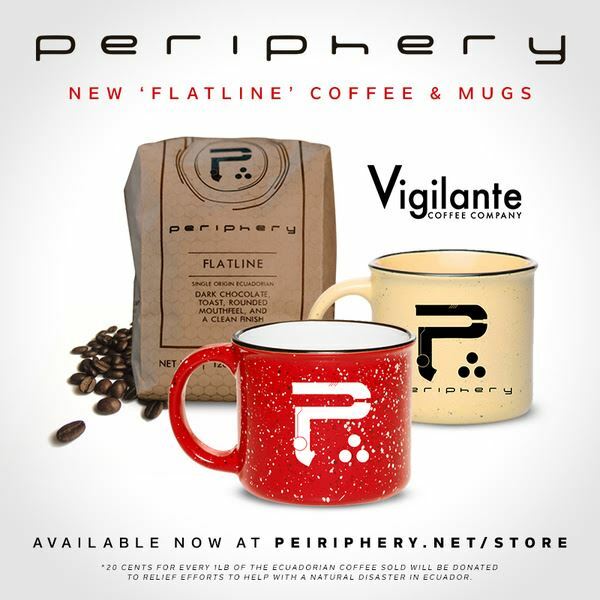 PERIPHERY, which released its fifth album, "Periphery III: Select Difficulty", in July, has partnered with Washington DC-based Vigilante Coffee Company for a special limited-edition coffee, dubbed "Flatline" (a reference to the song of the same name). "Being the coffee junkies that we are, the band and I jumped at the opportunity to develop and release our own branded coffee with Vigilante, who kept us over-caffeinated for the 'Periphery III' recording sessions," explains guitar player Mark Holcomb. "When we saw what Vigilante founder Chris Vigilante was doing and tasted the coffee they were brewing, we were floored; it was easily the best coffee I had tried in my years of living in D.C., and the band made it our go-to coffee spot. "This past winter, Chris invited us into the shop for a lengthy tasting where we sampled over a dozen coffees and picked what would become 'Flatline' coffee. Aside from being excited to release such a great coffee, we're also proud to say that a portion of the proceeds from sales of this coffee are going directly to Ecuador's earthquake emergency relief for the 7.8 magnitude earthquake that struck Ecuador in April 2016." 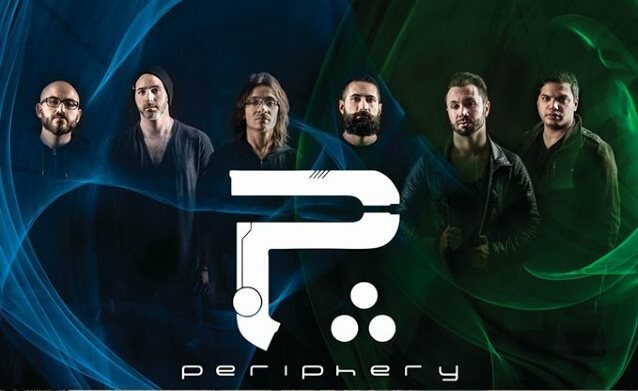 Bags of "Flatline" coffee are available now via PERIPHERY's webstore. The coffee is described as featuring chocolate notes and a lasting mouthfeel. As it cools, its creaminess is almost chewy, with delicate earthy and toasty notes. The beans come from the Rio Intag valley of Ecuador, which, while spared a direct impact from the April earthquake, the coastal areas of the country have been deeply affected. A portion of all sales will be directed to the Catholic Relief Services, earmarked for Ecuador Earthquake Relief. 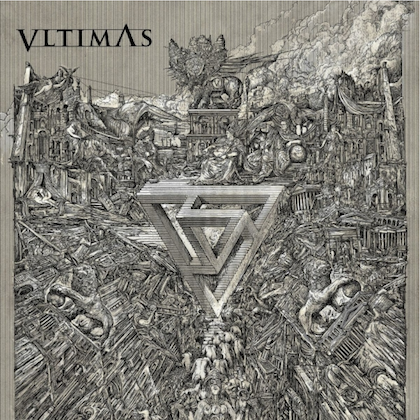 "The motivation behind this collaboration was simply to share something cool with the fans of PERIPHERY and make a positive impact on the coffee world," said Vigilante Coffee Company. "The rock stars of this coffee are the farmers and we're grateful to share their passion for growing great coffee with the passionate fans of PERIPHERY and the passionate coffee lovers of Vigilante Coffee."